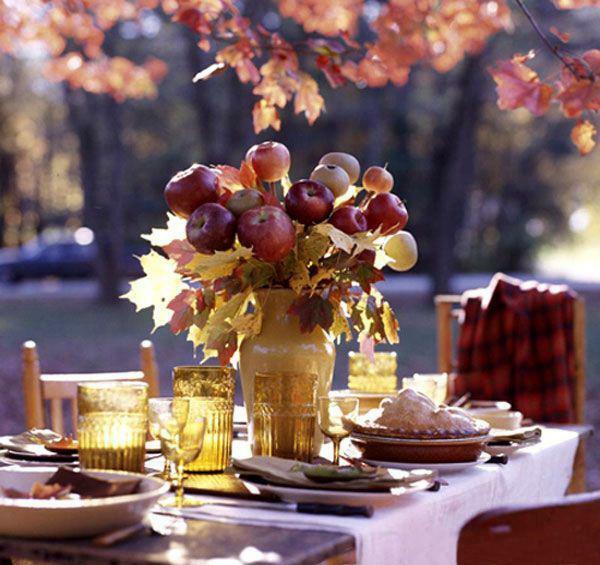 Thanksgiving decorating ideas include creating gorgeous table centerpieces that enhance the spirit of this meaningful holiday. 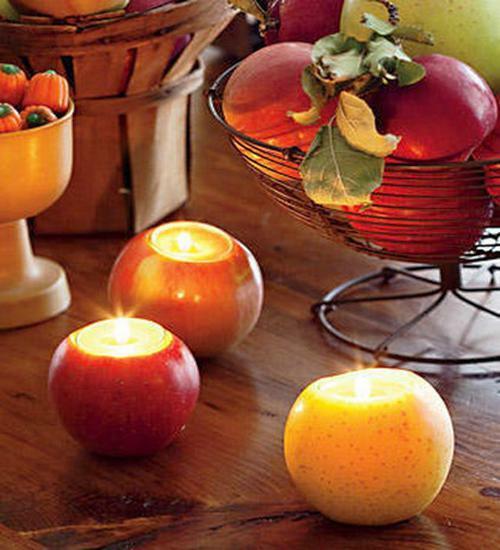 Apples and candles add to the festive feel of your dinner table and enrich Thanksgiving decorating ideas with warm and natural accents. 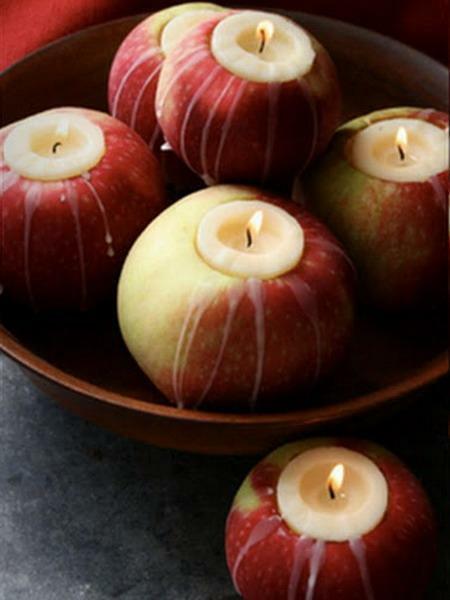 Thanksgiving decorating with apples and candles is quick and easy. 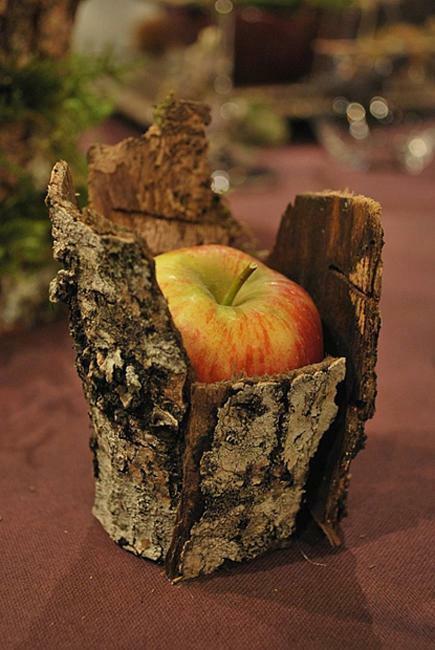 Beautiful and creative, unusual or simple apples and candles centerpieces can be designed with fall flowers and greenery, or combined with pumpkins and small gourds. 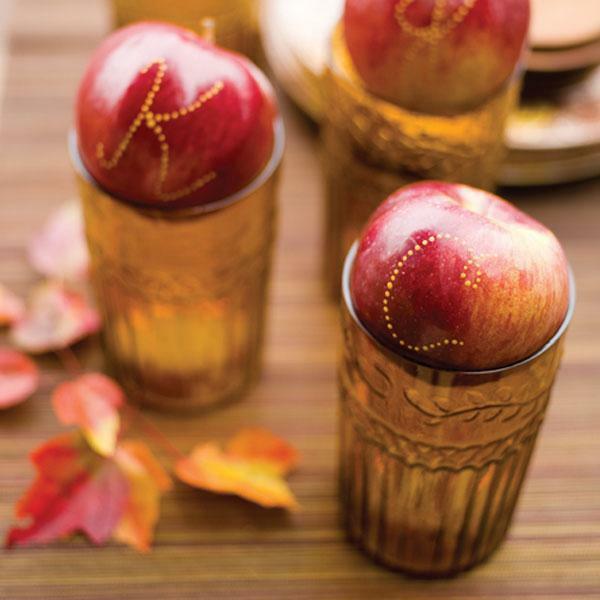 You can create charming Thanksgiving decorating with apple decorations and candle centerpieces very quickly and for very little money. 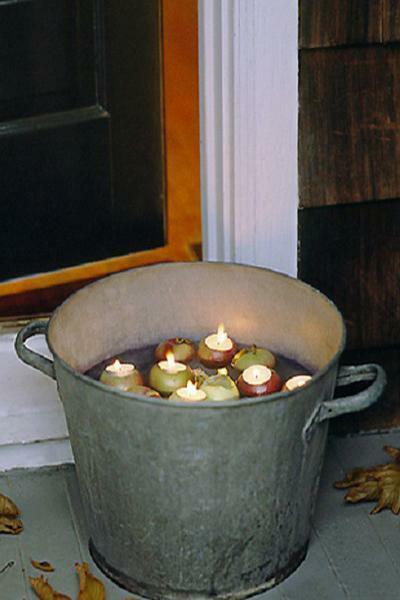 Here is a collection of simple Thanksgiving decorating ideas that is inexpensive, but colorful and attractive. 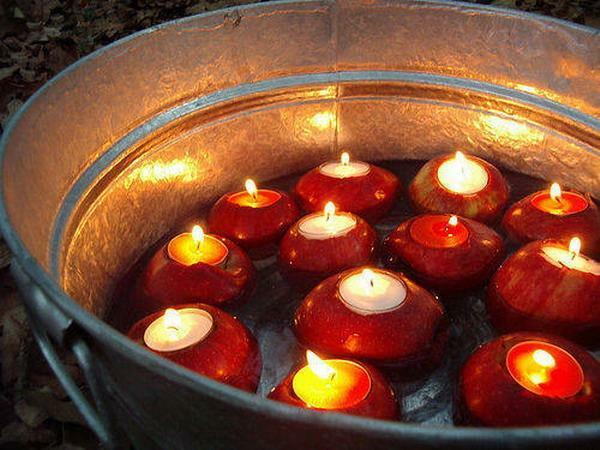 Candles centerpieces that you can arrange on a tray or platter in just a few minutes will look dramatic with bright fall leaves and apples. 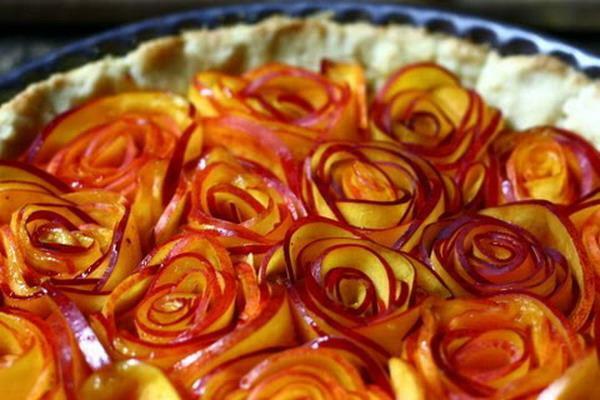 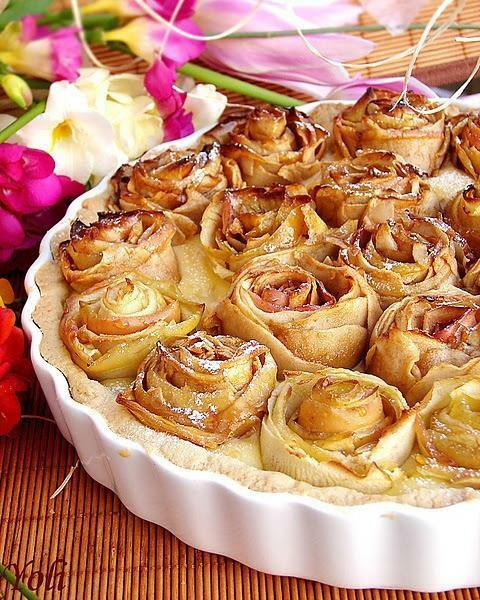 Fall flowers, like bright mums, a few small gourds or a pumpkin, a few apples and greenery, such as moss, leaves, or parsley, and of course an apple pie or apple treats, arranged on a plate create wonderful Thanksgiving table centerpieces. 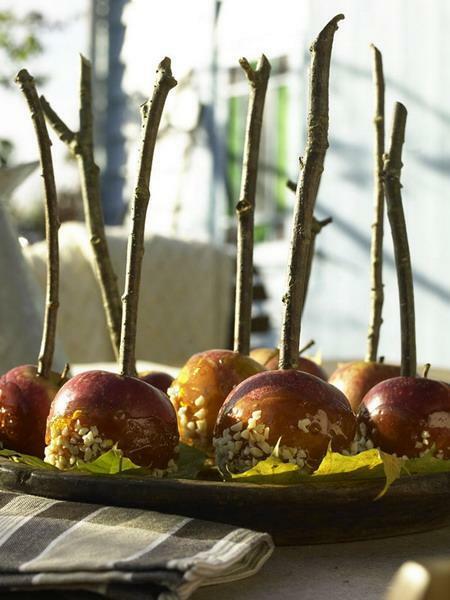 Place apples and a few small gourds next to an indoor plant, flowers or large pumpkin to create simple and attractive dinner party table centerpiece in eco style. 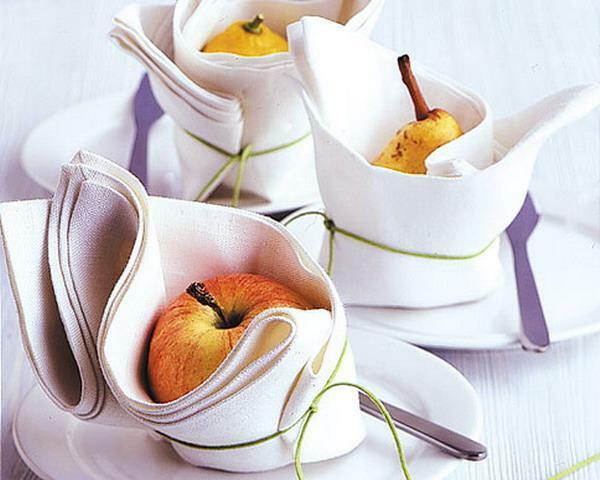 Water the plant to keep your table decor fresh. 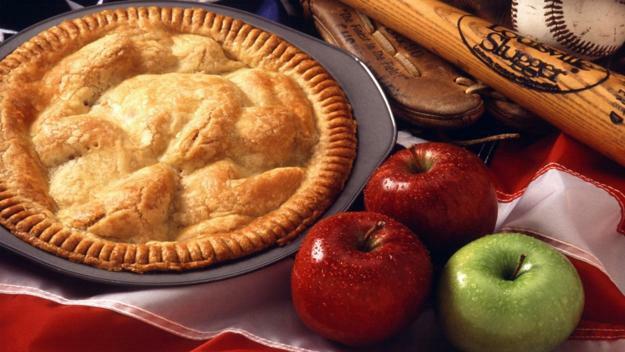 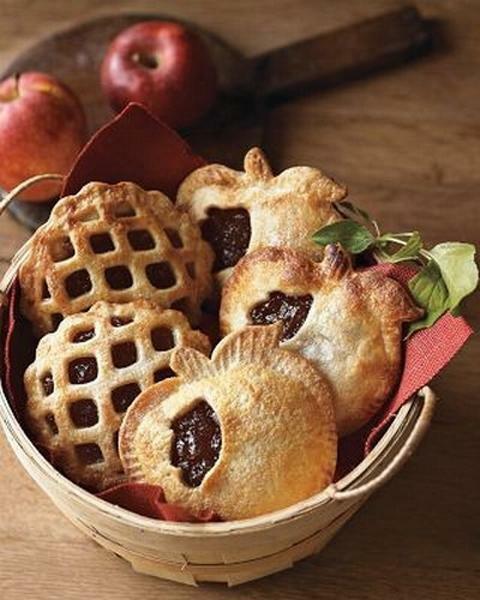 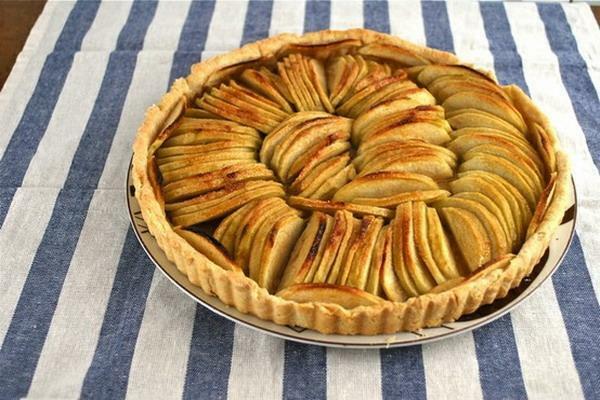 You can arrange a few apples and miniature pumpkins around your apple pie and add more apples randomly to your table decoration, giving a splash of color and playful look to creative Thanksgiving decorating. 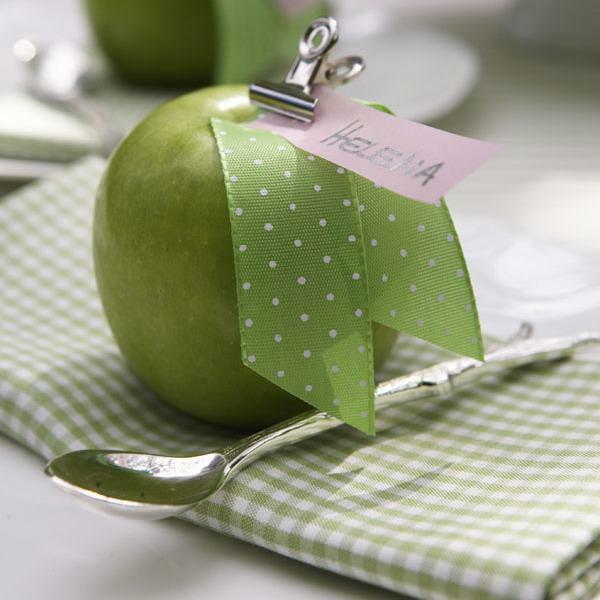 Use small apples of red, yellow and green colors to enhance the festive look of your dinner table. 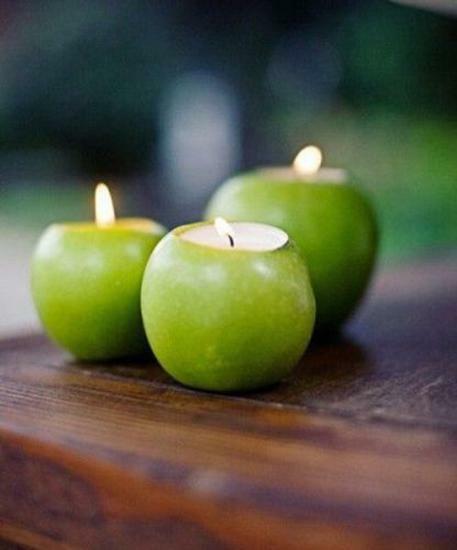 You can use apples for making small candles centerpieces, and combine the leaves or greenery for stylish and impressive look. 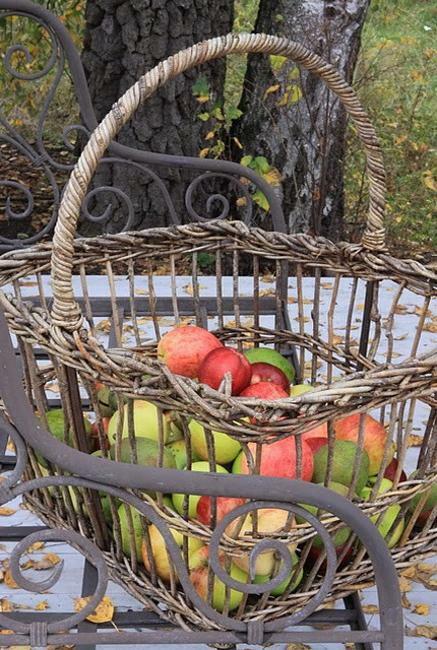 Place berries and fall leaves between the apples, add small gourds and miniature pumpkins to beautify your Thanksgiving decorating and tablescape design. 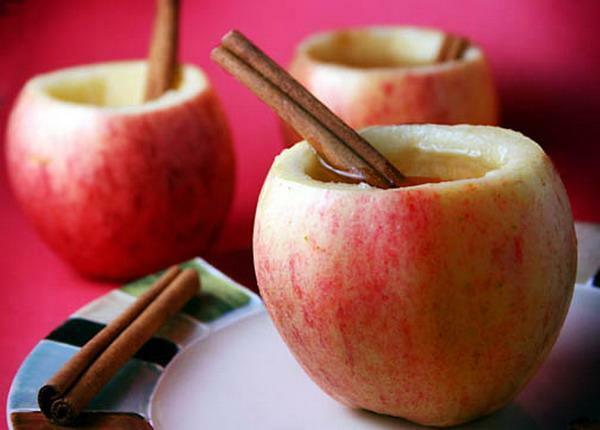 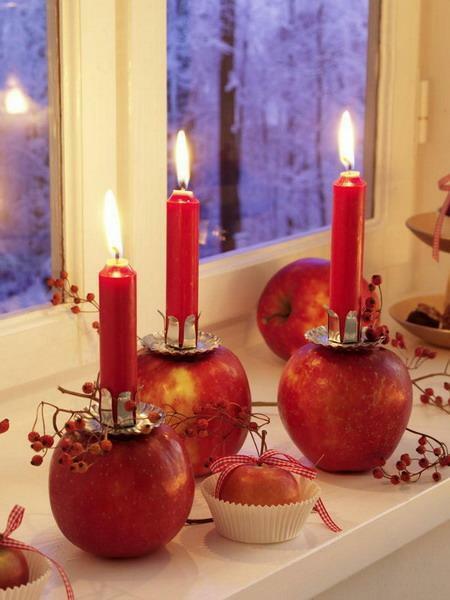 Apples and candles centerpieces are fabulous Thanksgiving decorating ideas. 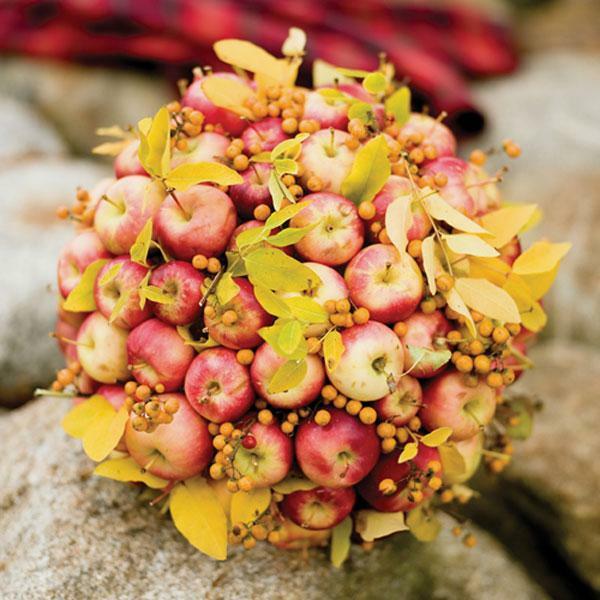 Adding dogwood berries and cranberries will make your Thanksgiving table decor a thing of beauty. 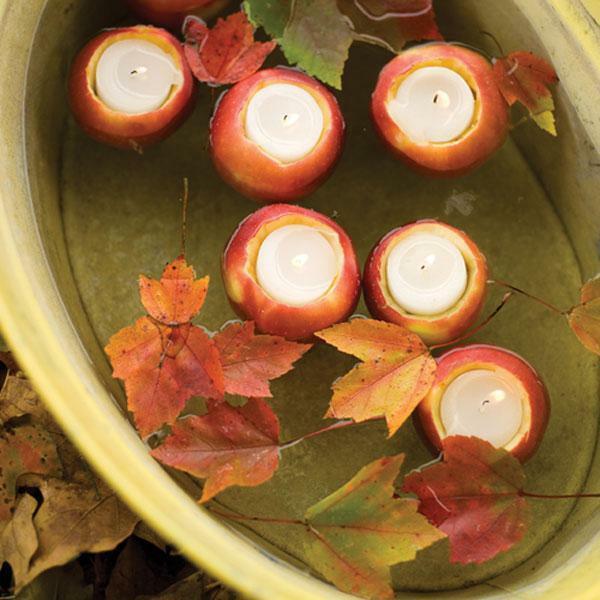 Other easy centerpiece ideas for Thanksgiving decorating may include fresh cranberries, branches with rose hips, fall leaves garlands that will adorn your dinner table with unique details and textures. 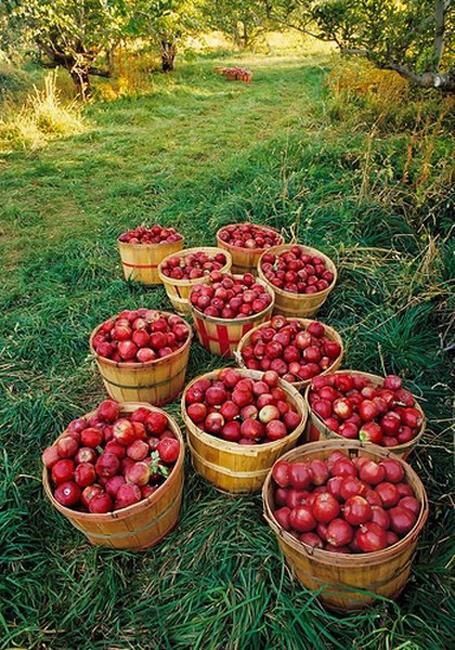 Drop the cranberries into a glass vase and then fill it with water. 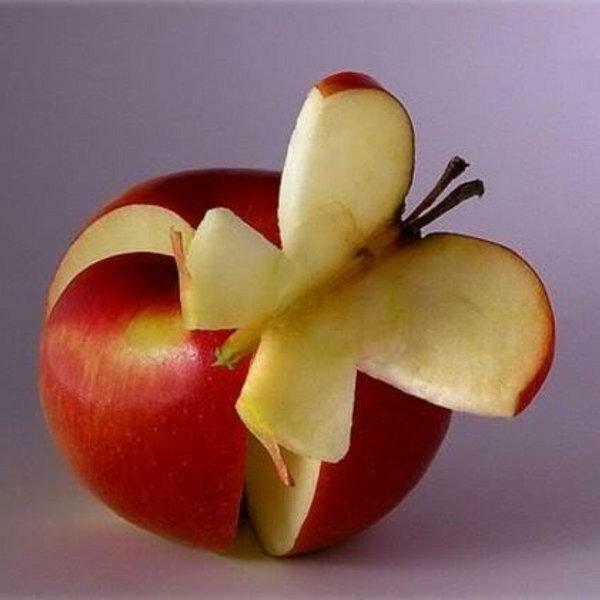 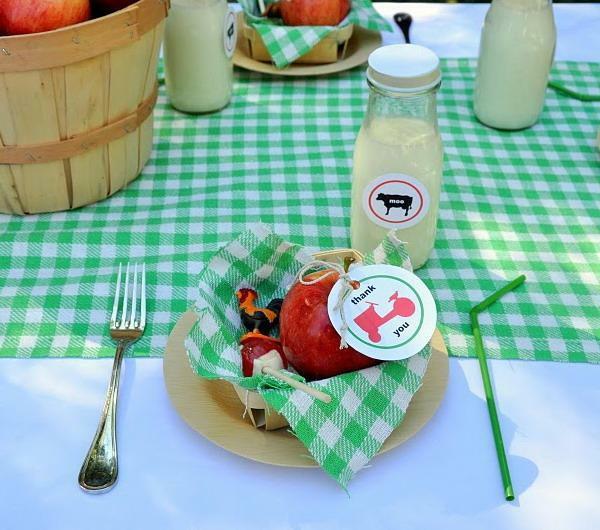 Your delicious meals and fantastic treats will look amazing with fresh apples and berries centerpieces. 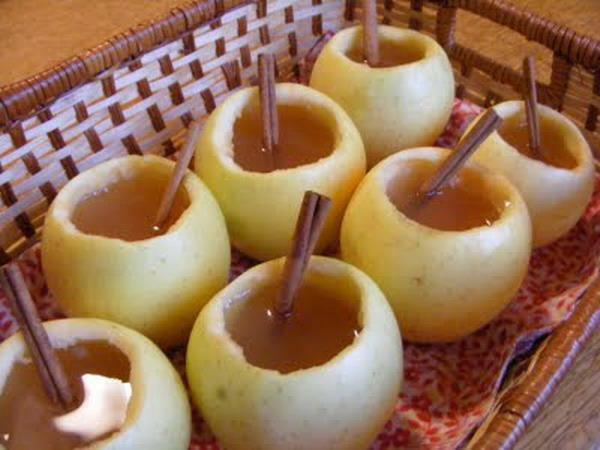 It is easy to make dramatic, festive and inexpensive apples and candles centerpieces for Thanksgiving decorating. 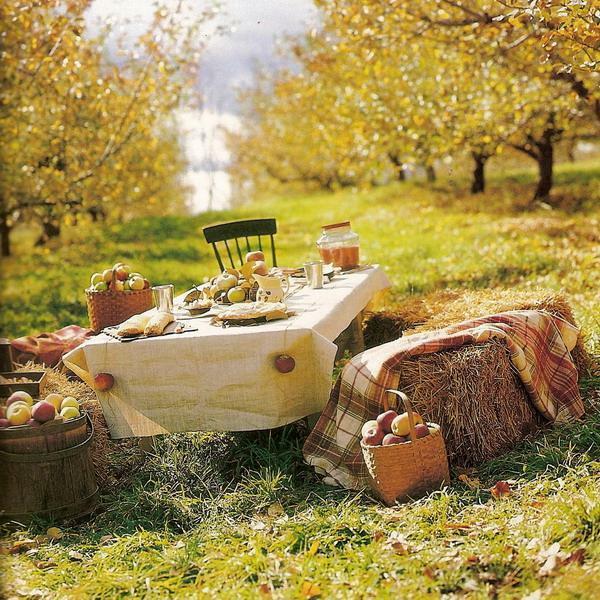 Get inspired by these gorgeous pictures, use your imagination and add lots of colors, textures and shaped to Thanksgiving decorating ideas, creating stunning table centerpieces and the perfect holiday atmosphere for your fall celebration.